The four-year-old dispute over whether top Pentagon officials disclosed classified information to the makers of the Bin Laden raid movie “Zero Dark Thirty” took on a new wrinkle this month. The nonprofit Project on Government Oversight on April 16 unveiled a document suggesting greater White House involvement in influencing the filmmakers than previously known. Analyst Adam Zagorin argues that the new information supports the notion that former CIA Director Leon Panetta and Defense Undersecretary for Intelligence Michael Vickers released unauthorized details of the 2011 Navy SEAL raid in Pakistan, and that then acting Defense Inspector General Lynne Halbrooks allegedly doctored a report to bury that information. The dispute over the two versions of the IG report on cooperation with the media and makers of “Zero Dark Thirty”—a never circulated draft that addresses the Panetta disclosure or a subsequent version that omitted it—caused turmoil within the IG staff. That was due both to suspicion that high-level people with White House contacts were being protected as well as technical dissents from IG investigators, sources told Government Executive. 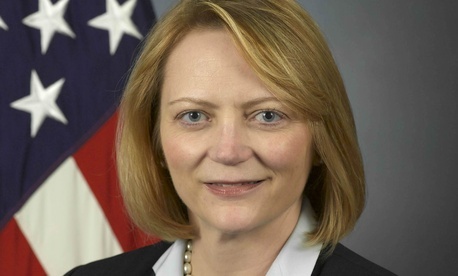 During her six years at DoD, Halbrooks also clashed with Sen. Charles Grassley, R-Iowa, over handling of whistleblowers, an approach Halbrooks defended.